I accidentally got installed 22find.com on my internet explorer homepage, even it not shown into control panel so that we can uninstall it. Please guide what to do now how to remove 22find.com Homepage ? 22find.com is a homepage redirect program, which is also categorized as a browser hijacker. This will hijack target computer’s browser homepage and replace the default search engine. This 22find.com comes into your computer without your permission. to 22find.com or other malicious domains. Your new tab is also open with 22find.com. 22find.com can hijack your all popular web browsers and all operating system including Google Chrome, Mozilla Firefox, Internet Explorer and Windows xp, vista, 7 and windows 8. It can create a shortcut on your desktop screen and get itself in windows startup menu button. 22find.com also installed lots of unwanted plugins in your web browsers. This add-on disturbs your normal activity. This unwanted program keeps popping advertisements and sponsored links on your computer screen. or add-on that had bundled into their installer this browser hijacker. So you should always pay attention when you download a free software packages from internet. You should download from their official websites. To secure your computer from 22find.com, you should immediately uninstall this unwanted application. Otherwise you may be lost your browser files. This article offers you a detailed and step by step removal guide on how to get rid of 22find.com from Internet Explorer, Mozilla Firefox and Google Chrome. So you have to follow article steps carefully, it’s really simple to follow. Download Adware Remover Tool v3.8 to remove 22find.com Automatically, It’s a Freeware utility specially designed for Adware Removal. This tool can remove most of the Adwares from Internet Explorer, Firefox, Mozilla Firefox and from their registry traces as well.. Step 1 : To Remove 22find.com infection from Windows Shortcuts. Step 2 : To Remove 22find.com from Internet Explorer. 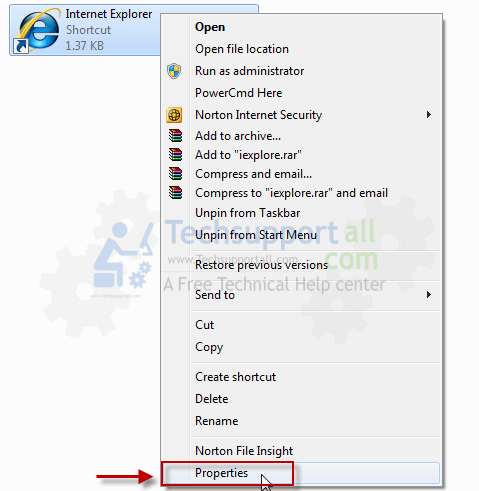 Open Internet Explorer then go to Tools menu (Press “F10” key once to active the menu bar) and then click on Internet Option a configuration page will be opened, then click on General tab. Now look into under HOME PAGE Edit Box you got www.22find.com, replace it to www.google.com, then click on apply and close. Step 2.2 : Remove 22find.com add-ons from Internet Explorer. Now disable the 22find.com add-on, also disable all the unknown / unwanted addons from this list. (As per below screenshot). Open Mozilla Firefox, Click on Tools menu (If tools menu doesn’t appear then press “F10” key once to active the menu bar) then go to Options, after that a configuration page will be opened, then click on General tab and then look on the very first section named as Startup. Under Startup you will see a HOME PAGE Edit Box, under this edit box you will see www.22find.com, please replace it to www.google.com, then click on apply and close. Type “22find.com” into the find box and then click on Find Next. The search result will highlight the key or value which have contains the 22find.com string. In the manage window click on Tasks Scheduler from right side pane, then click on “Task Scheduler Library“, Now look on left side pane and Remove all the Tasks which have contains 22find.com string and also remove all the unknown / unwanted tasks from there (As per the screenshot below). In the msconfig window click on Startup tab, here you’ll get all the startup entries, so look on the list and then do Un-check the entries which is contains 22find.com. Also Un-check all the others entries which you found unwanted. then click on OK to apply all the changes. In the msconfig window click on Services tab, here you’ll get all the startup services list, click on “Hide Windows Services” all the windows related services will be hidden. now it’s only display the 3rd party installed services, now look on the list and then do Un-check the service which have contains 22find.com. Also Un-check all the unknown / unwanted services. then click on OK to apply all the changes. 9.3 : When you get it started, click on scan button to search the 22find.com files and registry entries (As shown below screenshot). Step 11 : To remove 22find.com with Malwarebytes. Q. Is 22find.com a virus ? Ans. 22find.com is a homepage redirect program, which can also be categorized as a browser hijacker. This will hijack target computer’s browser homepage and replace the default search engine. This 22find.com comes into your computer without your permission. Q. I wish to remove 22find.com from my computer? Q. I can’t remove 22find.com from my PC? Q. I won’t uninstall 22find.com from my computer. What can I do? Ans. 22find.com is an adware program and display lots of advertisements, coupons, sponsored links in your browser home page through a pop up box. So, you should immediately uninstall this adware. To remove this unwanted program, you have to follow article steps very carefully. Ans. 22find.com is a “PUP” (Potentially Unwanted Program). It comes into your computer without your permission and change your default settings such DNS files, Registry files, Background color, browser homepage and many more. Q. Is 22find.com a virus? Technically, 22find.com is not a virus. However, it is categorized as “PUP” (Potentially Unwanted Program) because it comes into your computer without approval. Q. How 22find.com enters into my computer? Ans. 22find.com comes into your computer via free software packages and when you click visit on malicious websites. You should not download any software from 3rd party website. I need your help I can’t find 22find in Control Panel\All Control Panel Items\Programs and Features, is it possible? Different name create automatic in “Programs and Features”, when I start firefox or chroe that a time automatic open 22find search engine. What I should? For remove please tell me ASAP. Step 1 : Run a scan with an anti-adware (Adwcleaner), click here to download “Adwcleaner.exe“. Step 2 : Above tool will reboot your computer, so please allow it to reboot. Step 5 : Above tool will reboot your computer, so please allow it to reboot. Please let us know if it won’t fix this time. It worked for me in few minutes resulting in improved system performance drastically. Really appreciate!!! Thanks a ton for the tool & very neat and detailed manual steps provided alternatively. Sorry, I figured out I lost the window before I got to click on NEXT. Did it all over again and worked super…..many thanks from a veteran. It work successfully. thank you all. Was a great help – thanks very much! Thanks for your efforts battling the $#!+ ware out there. Just used it to unistall 22find hopefully keeps it at bay. Thanks heaps guys keep up the great work! Thank you so much for this software!! It works! !